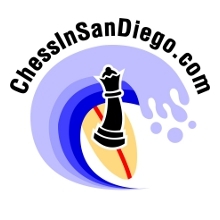 This website is intended to gather information for chess players in the San Diego area. Content is getting added regularly, so stay tuned for more! There are a number of libraries in both the County of San Diego library system and the City of San Diego library system which host regular chess clubs. Some of them are intended for children (often held only during the school year), and many are all ages. Details of these clubs can be found by searching for “chess” in the event sections of the library websites. 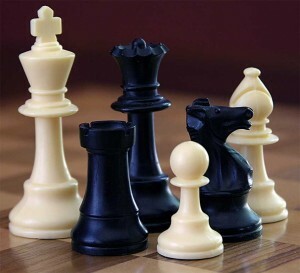 The new San Diego Central Library branch located at 330 Park Blvd, San Diego, CA 92101, has launched a growing Downtown Chess Club for casual play every Friday from 3 – 5:30p. For USCF rated games, there are two options in the San Diego area. The San Diego Chess Club on the west side of Balboa Park on Sixth Avenue, and has games on Wednesday nights and Saturdays. The North County Chess Club plays in Escondido at the North County Bridge Center on S. Centre City Parkway on Thursday nights. 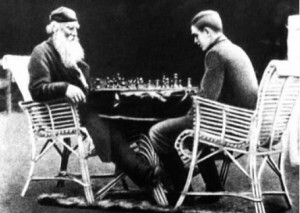 There are two options in the Temecula area: Murrieta – Central Park – Chess Club and the Temecula Chess Club. If you’re willing to travel a little farther afield, there is also Chess Palace in Orange County, which has very frequent tournaments. A list of the regular games throughout Southern California can be found at the Southern California Chess Federation’s Chess Club directory. 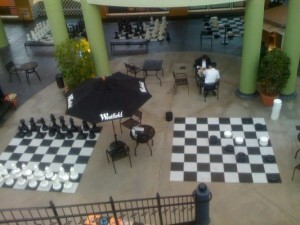 There are also many cafes all around San Diego county where players gather to play casual games. We’ve tried to gather the ones we could find in the post about local hangouts. Additionally, a very unofficial schedule of regular local games, including the library clubs, can be found on our calendar page. If you are looking to improve your chess game, one option is to hire a coach to guide your studies. USCF National Master Bruce Baker, the club manager of the San Diego Chess Club, offers chess instruction. He can be contacted through the club. International Master Keaton Kiewra is an experienced chess instructor who has recently moved to the San Diego area. He is accepting new students, and can be contacted through his website http://keatonkiewra.com/. International Master Cyrus Lakdawala is another local chess teacher who can be contacted through the San Diego Chess Club. He is also a teacher on the Internet Chess Club where he goes by the username “Kawas”. An article from the San Diego Reader from 2007 featured him as well as his student, now a FIDE master, Elliot Liu. USCF Candidate Master Mario Amodeo offers chess coaching and instruction in San Diego County. More details are available on his website, http://www.chessinstructor.net. International Master Larry D. Evans offers private coaching in San Diego for both adults and juniors, as well as a chess camp for children through his program The Mountain Lake Chess Camp, through which he can be contacted. Dave Melrose and other San Diego Chess Academy instructors offer private lesson to kids all over Southern California. They can be contacted through the San Diego Chess Academy website. 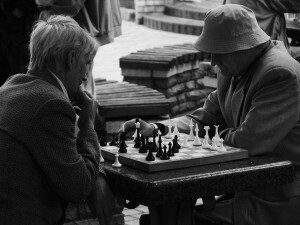 There are a number of cafes and other spots around San Diego where chess players regularly congregate for some casual play. This is a list of the ones we’ve found so far. Please add a comment if you know of others.